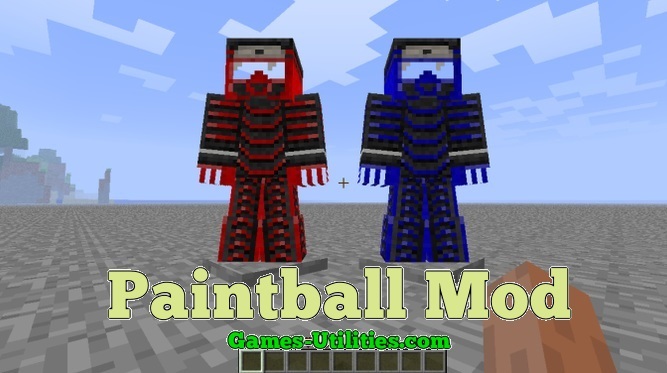 Paintball mod is a fun Player versus Player modification for Minecraft which adds weapons, armors, dispensers, medic kits, flags, sprays and everything that is required in a realistic Paintball arena fight. All you need is to host a Bukkit server on LAN and invite your friends for a party! – Download Paintball Mod client files from link above. – Go to WinKey+R and type “%appdata%/.minecraft/mods” without quotes and press Enter. – Open and Extract the “Paint ball.zip” it contains into the “mods” folder of your Minecraft directory. – Launch Minecraft and play Paint ball. • You have to join a vanilla/bukkit server that supports Paintball mod. • This mod will not function without Minecraft Forge.